Apart Hotel Las Americas offers 64 spacious and luxurious suites with customized service room with jacuzzi, desk, three or more telephone lines with voicemail and connectors for PCs and modems. DL 919, natural persons not domiciled in Peru, can enjoy 19% exemption from Sales Tax on the concepts of accommodation and meals, if their stay does not exceed 60 days. 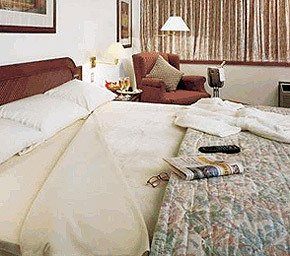 Suite with king size or queen size bed, bathroom with jacuzzi. Dining room, desk, bar equipped kitchenette. 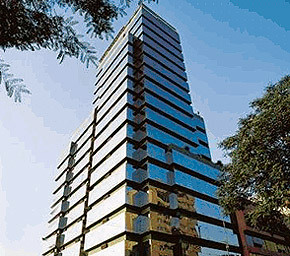 Área 55m2. Area 55m2. Suite with two twin size beds, bathroom with jacuzzi. Dining room, desk, bar equipped kitchenette. Area 80m2. Room with guest bathroom (floors 17 and 18), dining room, desk, bar equipped kitchenette. Área 95m2. Area 95m2. Master bedroom with a king size bed, bathroom with jacuzzi, second bedroom with two twin size beds and bathroom. Sala- comedor, escritorio, kitchenet-bar equipado. Dining room, desk, bar equipped kitchenette Área 120m2. Area 120m2. Cafe 21 where to find a bright, modern environment where you can enjoy national and international specialties, plus a beautiful view of the Mall of Pardo Avenue. Equipped with everything required by the executive today, such as Internet access, secretarial and translation services, word processing, car phones and other facilities. 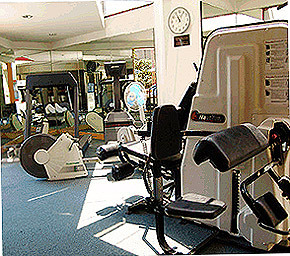 With the latest equipment for fitness and cardiovascular control. Terrace comfortable environment for complete relaxation time. Rates don't include 18% of VAT. NOTE: Peruvian law will exonerate all foreigners visiting Peru for a period -60 days.